Tyrolit - Collecting masterpieces. Done. Tyrolit - Short cut. Done. Tyrolit - Scoring street art. Done. Tyrolit - Getting to top level. Done. The most obvious example of contrast in this advertisement would be the color of the text. In the upper left we have the contrast between the dark grey background and the stark white, which draws attention to the words. 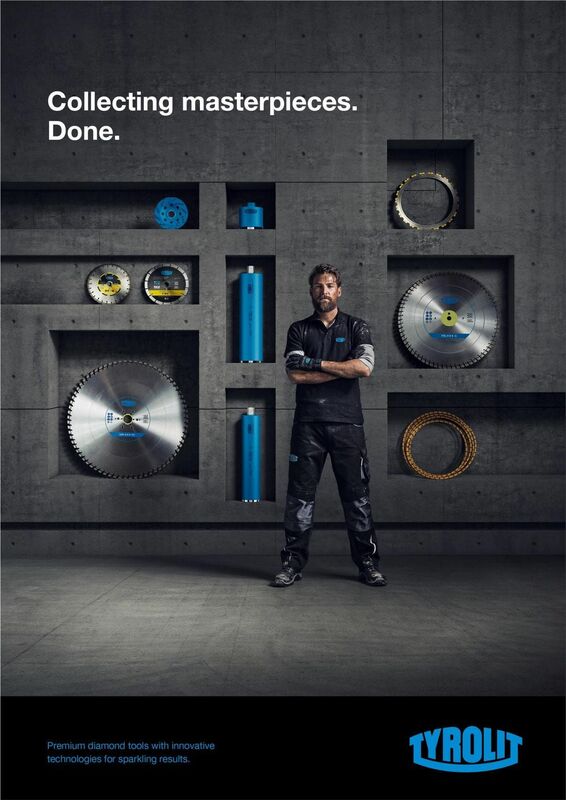 At the bottom of the advertisement we can also see the contrast between the peacock blue words and dark black background, again drawing attention to the brand name and slogan. Some other not as blatant uses of contrast can be seen in the use of circular vs rectangular shapes and the small vs large shape sizes. 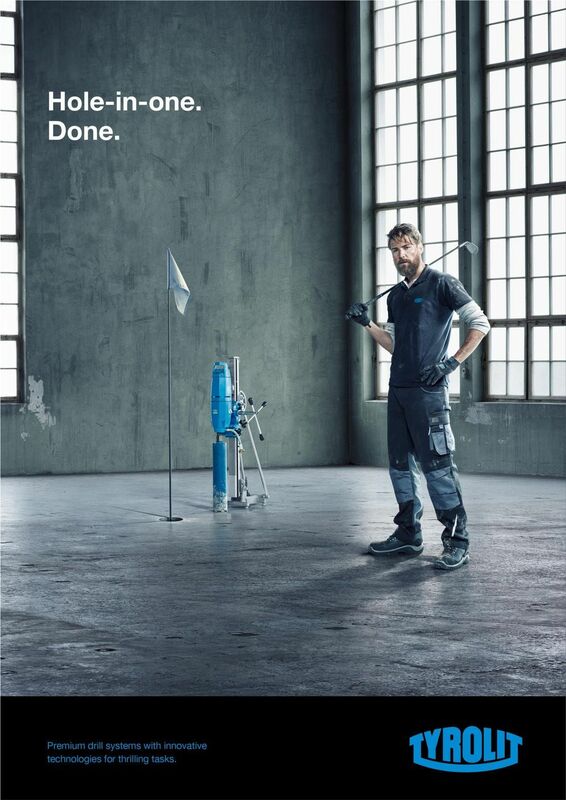 The designer of this advertisement also gave great thought to repetition. A few elements can be seen repeated in this image to create a sense of unity and agreement. First, we can see color. 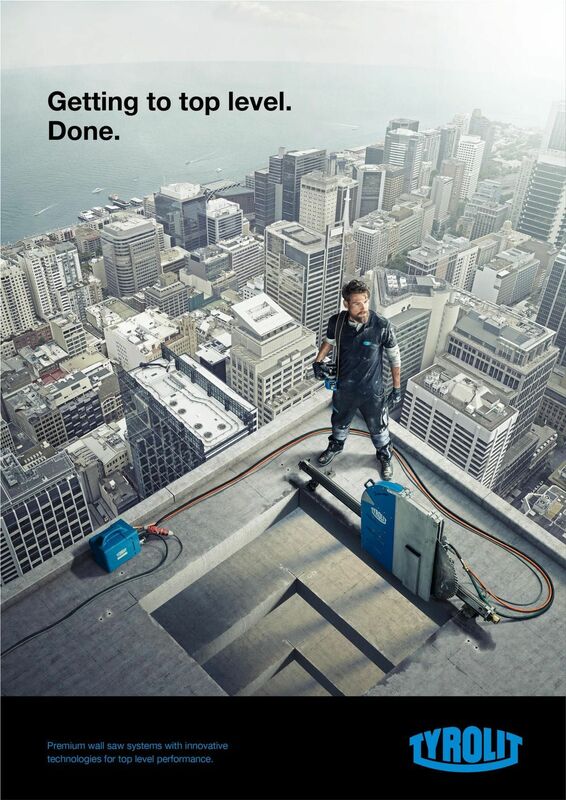 The peacock blue of the company’s logo can be seen repeated throughout the Ad, in text and in their tools. This allows the viewer to make connections, from the company to their product. Shapes are also repeated throughout the image, this allows the ad a great visual balance. The font is also repeated therefor connecting the ad from the top to the bottom. Although alignment can sometimes be tricky to include, this advertisement uses several lines to create unity throughout the image. Running vertically, we can see alignment of the text. Although both sets of text are positioned far from each other, they are connected through an invisible line. Left-alignment something that the viewer is familiar and comfortable with. The body of the image is full of alignment, this gives the photo a clean and organized feel. Once again helping the viewer unify all aspects. An important element in design is proximity, which can be seen in this advertisement. First, if we look at the bottom we can see that the business logo and slogan are group together, showing the relation between them. Second, at the top we can see another separate element- the advertising slogan, both parts, grouped together so the viewer can know they are related. Then we have the main focus, the product image, all grouped together again so the viewer can make assumptions about what pieces of the advertisement are related to one another. The color of this advertisement is fantastic. First, the designer used the colors of the business throughout the project allowing the ad to have a united feeling as a whole. 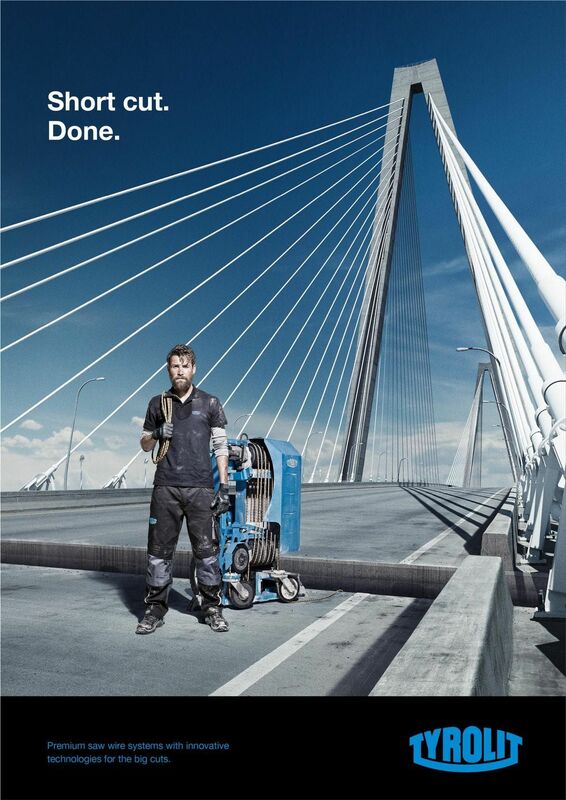 The brightness of the blue contrasts with almost anything in the image allowing it to bring attention to the most important aspect of the ad- the business. 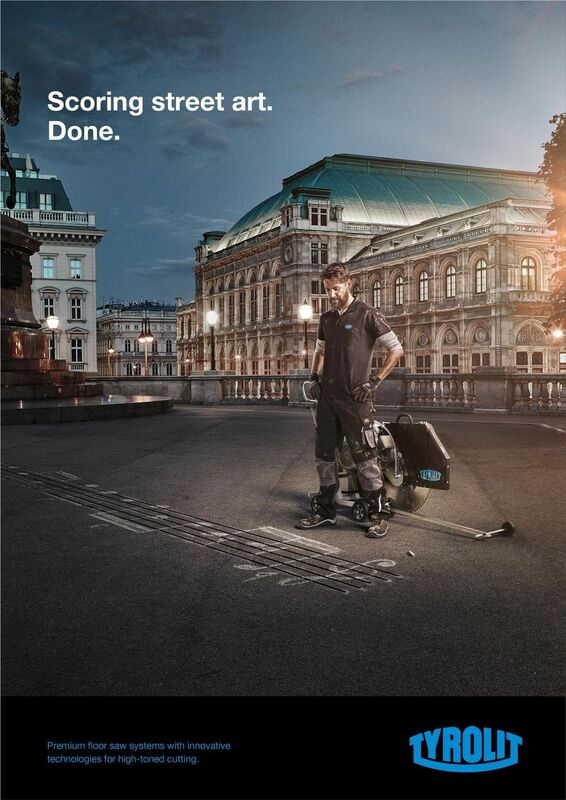 The smoked edges and black overlay also give the advertisement an edgy exciting feel, which makes sense with the product being cutting edge power tools. In conclusion this advertisement for Tyrolit is amazing. It not only contains all the elements of design, but uses them in a way that shows amazing interpretation of design. The overall effect of the advertisement is clean and beautiful. This advertisement fulfills, if not surpasses, all the requirements and objectives of its creation.